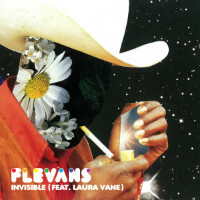 Flevans’ latest single, Invisible, is the third to be released off his forthcoming long-player, Part-Time Millionaire, the second to feature songstress Laura Vane and the best one yet so let’s hope it’s showing up on everyone’s radar. It starts off with pensive rhythm guitar, bass and head-nodding drum break while our Laura hopes she can escape a ‘few dark days’ during which she’s been ‘choking on the hope and can’t escape the maze.’ Which is a big hangover, I think you’ll agree. What she needs to do is get outside! 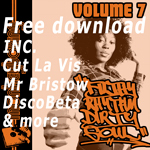 Cue more jaunty hip-twitching drum and bass patterns and some uplifting horns. She’s gone outside! And she’s ‘free’ – though curiously also, ‘invisible’ – which could be a bit of a double-edged sword. Still, glad you’re feeling better Laura and a positively delightful psychedelic middle-eight too. Nothing like a bit of fresh diesel pollution to lift the spirits eh? And that’s invisible too! What are the chances?